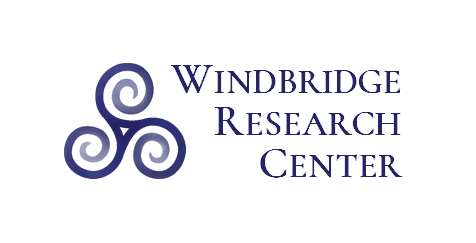 The following are media events in which Windbridge Research Center investigators participated. Balbin, T. & Beischel, J. (2017, April 26). 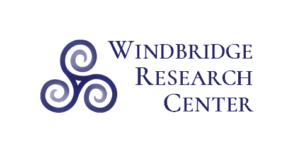 Interview: “WR 014 : Exploring Mediums and The Survival of Consciousness After Death – with Julie Beischel PhD.” Warrior [podcast]. Scully, S. & Beischel, J. (2015, July 12). Interview. The Cosmos in You [podcast]. Oslie, P., & Beischel, J. (2015, August 10). Interview. Aura Colors [live Internet radio]. Schnell, C. (2015, March 23). Vail Symposium’s consciousness series continues Monday, Tuesday. Vail Daily. Noory, G., & Beischel, J. (2014, October 22). Interview. Coast to Coast Radio [national radio]. Ginsberg, R., Beischel, J., Boccuzzi, M., & Ginsberg, P. (2014, July 31). Interview: The Afterlife Science Lab. Forever Family Foundation’s Signs of Life [Internet radio]. Ginsberg, R., Beischel, J., Boccuzzi, M., & Ginsberg, P. (2014, January 30). Interview. Forever Family Foundation’s Signs of Life [Internet radio]. Beischel, J. (interviewee). (2014). Can a psychic help you through your grief? America Now [national syndicated TV show]. Hieronimus, Z., & Beischel, J. (2013, August 11). Interview. 21st Century Radio [Internet radio]. Taylor, E., & Beischel, J. (2013, May 14). Interview. Hay House Radio’s Provocative Enlightenment [Internet radio]. [Above link requires Hay House membership] also on YouTube. Sakellarios, S., & Beischel, J. (2013, May 8). Interview. Metaphysical Explorations radio [podcast]. Ginsberg, R., Beischel, J., & Ginsberg, P. (2013, March 28). Interview. Forever Family Foundation’s Signs of Life [Internet radio]. Tsakiris, A., & Beischel, J. (2013, March 5). Interview. Skeptiko: Science at the Tipping Point [podcast]. Ray, A. & Beischel, J. (2011, August 28). Interview. Reflections: The Wisdom of Edgar Cayce. Beischel, J. (2011, August 25). Interview. Psychic Access Talk Radio. Taylor, E. & Beischel, J. (2011, May 24). In search of the true human potential. Hay House Radio’s Provocative Enlightenment. Beischel, J. (2011). Contribution to: “The importance of mediumship research: A variety of perspectives from contemporary investigators of mediumship.” Paranthropology, 2, 20. Cleaver, B. (2010). Medium frequency. Good Health, December 2010, 161-162. Tymn, M. E. & Beischel, J. (December 2010). An interview with Dr. Julie Beischel.) The Searchlight, 19(4), 1-2,10. Ginsberg, B., Ginsberg, P., & Boccuzzi, M. (2010, October 28). Ghosts are people, too! Forever Family Foundation’s Signs of Life Radio. Ginsberg, B., Ginsberg, P., & Beischel, J. (2010, October 14). Can science find afterlife answers from mediumship investigations? Forever Family Foundation’s Signs of Life Radio. Radin, D. & Beischel, J. (2010, June 30). Can mediums talk to the dead? Can you? Why should we care? Exploring the Noetic Sciences Teleseminar. Beischel, J. (2010). The reincarnation of mediumship research. EdgeScience, 3, 10-12. Gerber, J. & Beischel, J. (2009, November 23). Spirit in the lab: What can science tell us about the afterlife? Spirit Chat [online chatroom event]. Edmunds, P. & Beischel, J. (2009, September 14). Researching mediumship. Contact Talk Radio’s “Bridge Between Two Worlds” [online radio show]. Taylor, G. & Beischel, J. (2009, September 11). The departed. Daily Grail [website]. Cousins, W. & Beischel, J. (2009, October). Dr. Wendy Cousins interviews Dr. Julie Beischel. ASSAP (Association for the Scientific Study of Anomalous Phenomena) News, 128, 13-14. Martin, S. H. & Beischel, J. (2009, June 21). Is It Possible to Communicate with the Dead? : Stephen Hawley Martin interviews Dr. Julie Beischel. “The Truth About Life” on WebTalkRadio.net [online radio show]. Marsh, R. (2009, April 30). Death and dying: what science tells us about the afterlife. Examiner.com – Phoenix. The Light Connection & Beischel, J. (2009, March). Is there life after death? An interview with Dr. Julie Beischel. The Light Connection, 25(3), 22-24. Hanks, J. (2009, March 9). Q & A with Julie Beischel, PhD. 12News [NBC affiliate evening news program]. Tsakiris, A. & Beischel, J. (2008, August 19) Dr. Julie Beischel responds to critics of psychic medium research. Skeptiko: Science at the Tipping Point [podcast]. Tsakiris, A. & Beischel, J. (2008, June 2). Researching psychic mediums. Skeptiko: Science at the Tipping Point [podcast]. Beischel, J. (December 2007-February 2008). Talking to the dead: Laboratory investigation of mediumship. Shift: At the Frontiers of Consciousness, 17, 20-24.